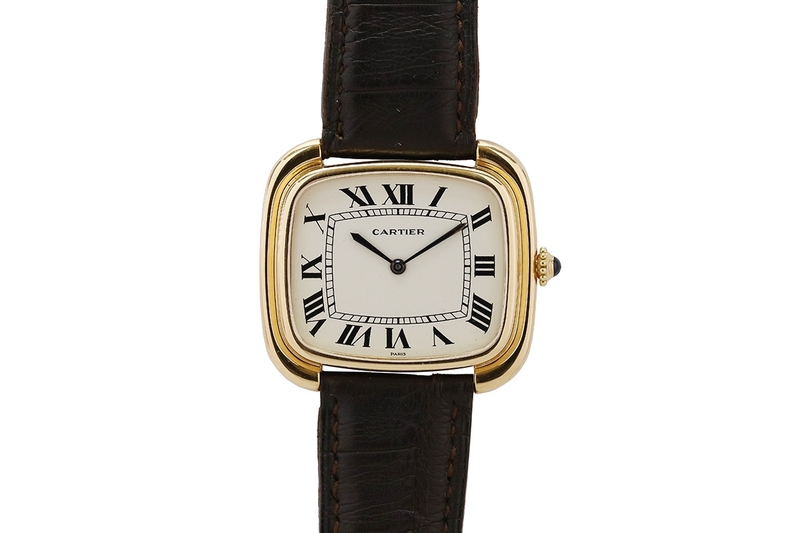 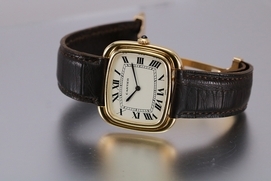 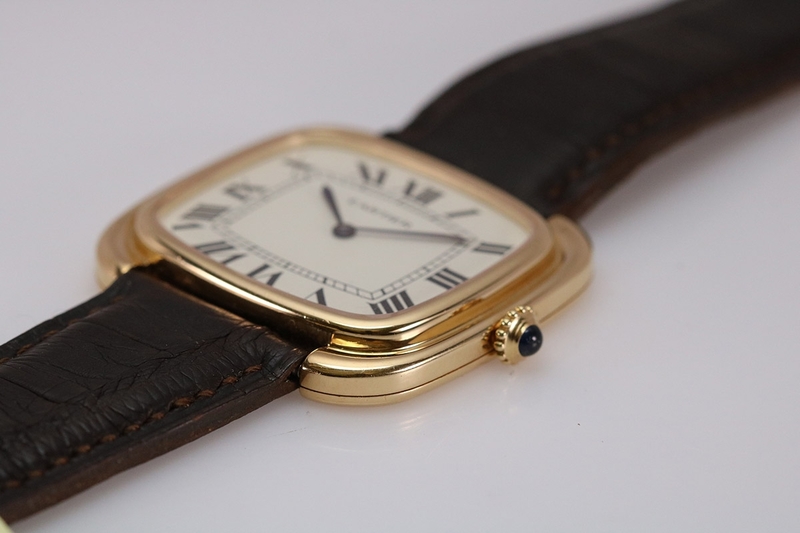 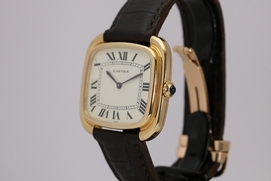 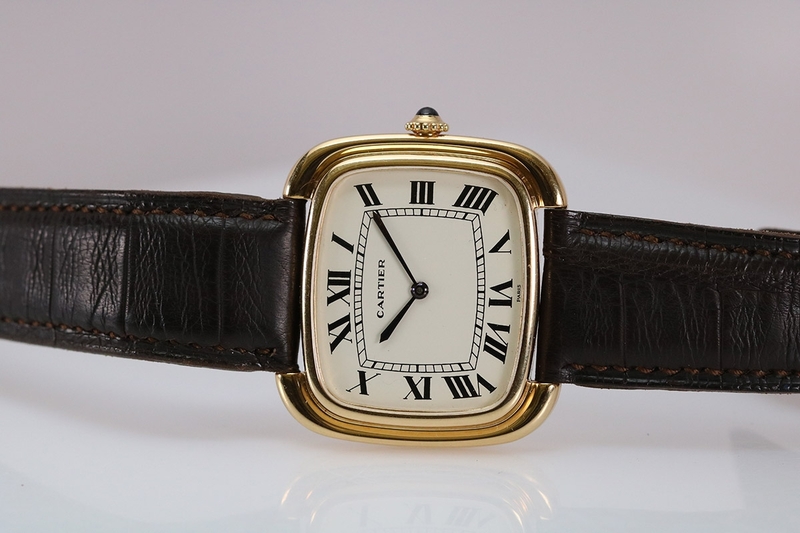 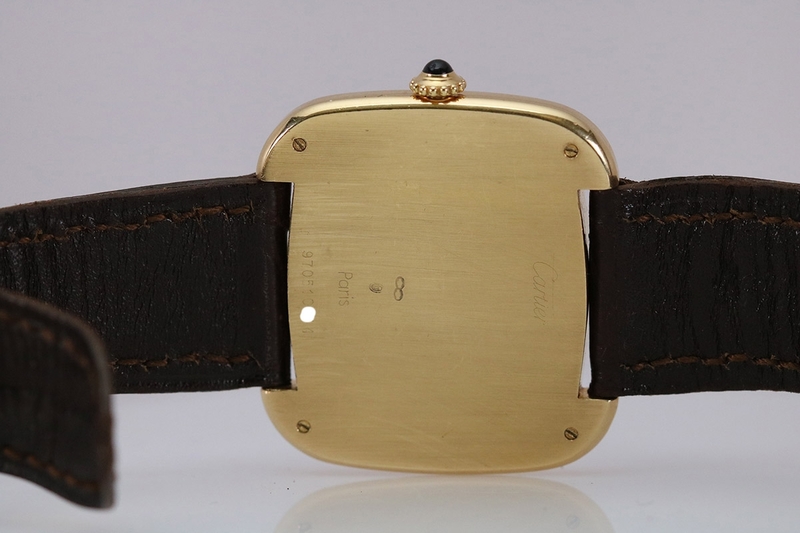 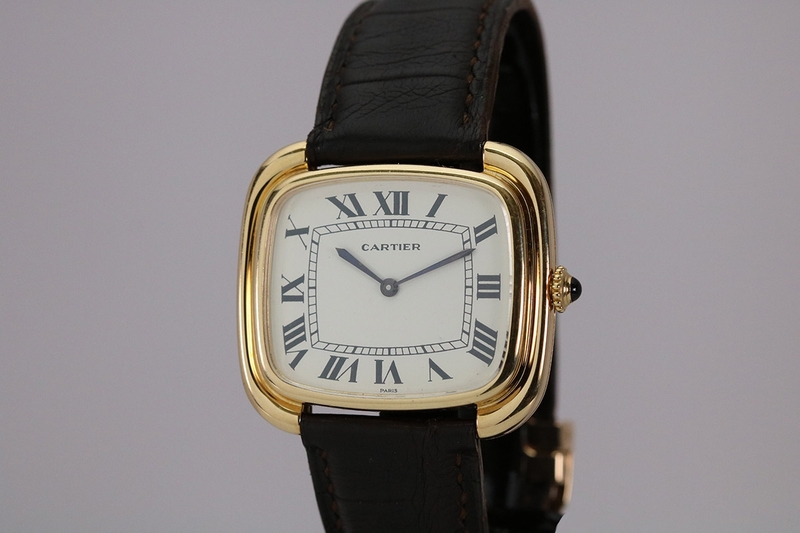 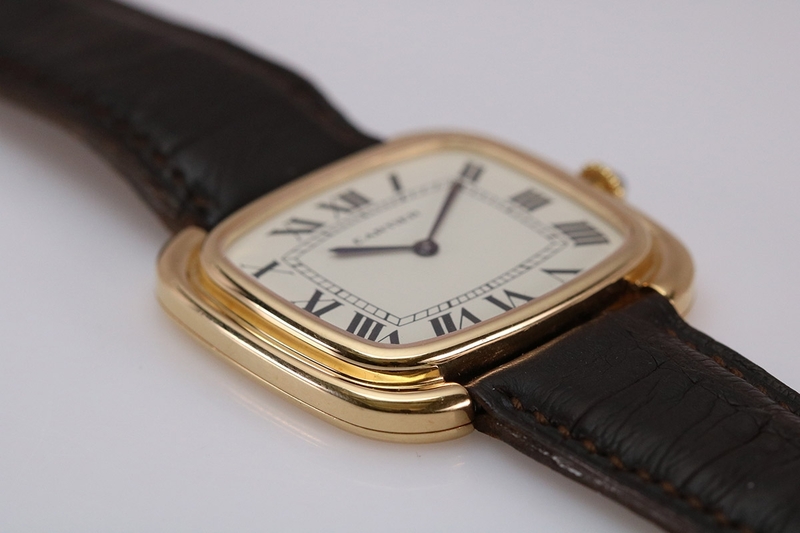 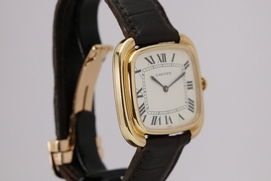 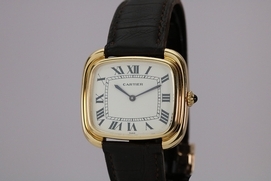 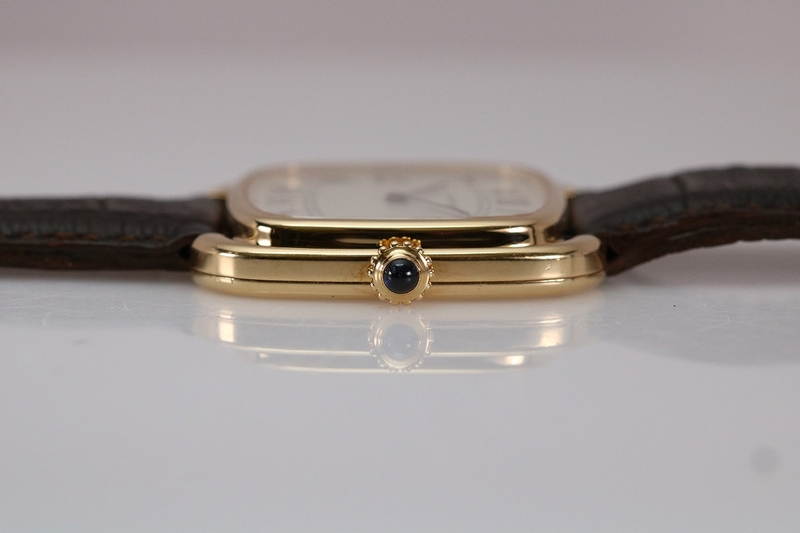 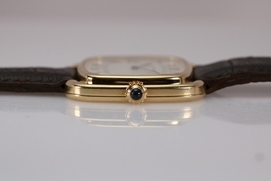 This is the Cartier TV screen watch from the 1970's in 18k yellow gold. This large cased watch is in excellent condition with its hallmarks intact. 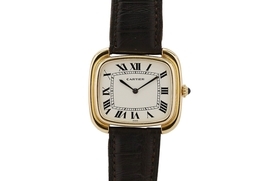 The original white dial with black roman numbers is pristine. 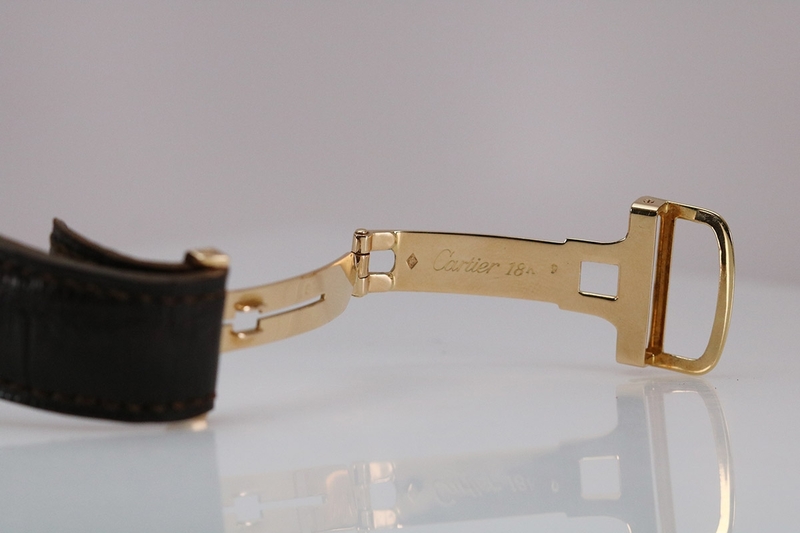 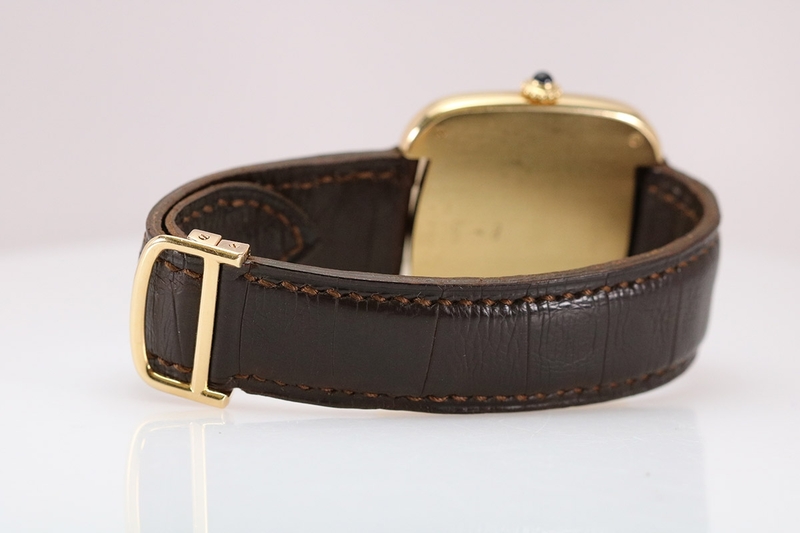 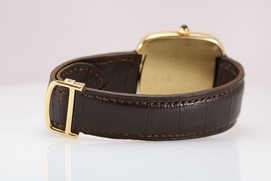 This manual wind watch comes with its Cartier deployment buckle.